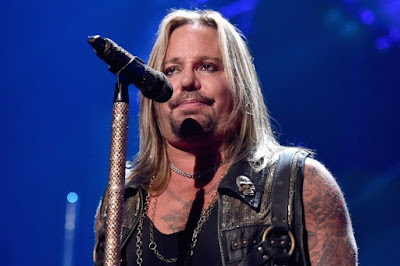 According to TMZ, Motley Crue singer Vince Neil has denied dragging an autograph seeker to the ground by her hair, but Las Vegas police say the surveillance video shows he did enough damage to warrant a citation. Sources close to Neil told TMZ the woman was "very aggressive" in her efforts to get an autograph from Vince and actor Nicolas Cage, who were having lunch on April 7 in the ARIA resort and casino. Vince reportedly admitted he was annoyed and "pushed past her," but insisted he did not grab the woman by her hair. The Las Vegas Metropolitan Police Department told TheWrap.com that Neil was cited after a call came in from the hotel at 5:24 Thursday evening. A female made a report to the police that Neil approached her, grabbed her by the hair and jerked her to the ground.